Photo-realistic set of 6 store signs mockups for a distinctive display for your logo appearance. Simply repleace your own logo inside the PSD file. 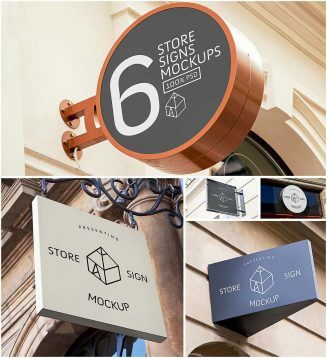 Tags: brand logo, shop, sign, store, street, wood sign.